College of Medicine and Dentistry News & Events Our People Hot shot! Come holiday time, JCU Head of Oral Surgery, Victoria Mellish, sets aside her scalpel and becomes a globe-trotting shutterbug – whose photos have featured three times already in the Lonely Planet magazine. 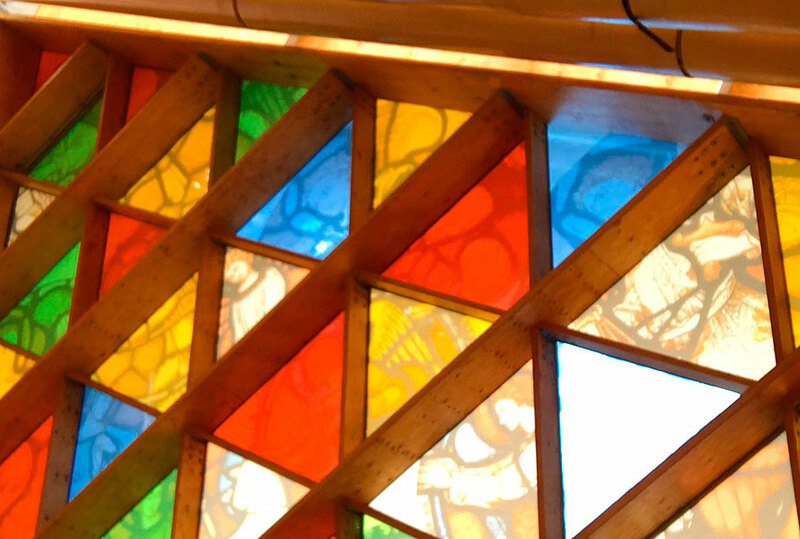 The October edition of the popular travel publication includes a luminous, kaleidoscopic image of a stained glass window, which caught Dr Mellish’s attention during a visit to a cardboard cathedral in Christchurch, New Zealand, in January this year. “Following the devastating earthquake, they used cardboard to create a transitionary cathedral to help rebuild the architecture and the community as quickly as possible,” she said. 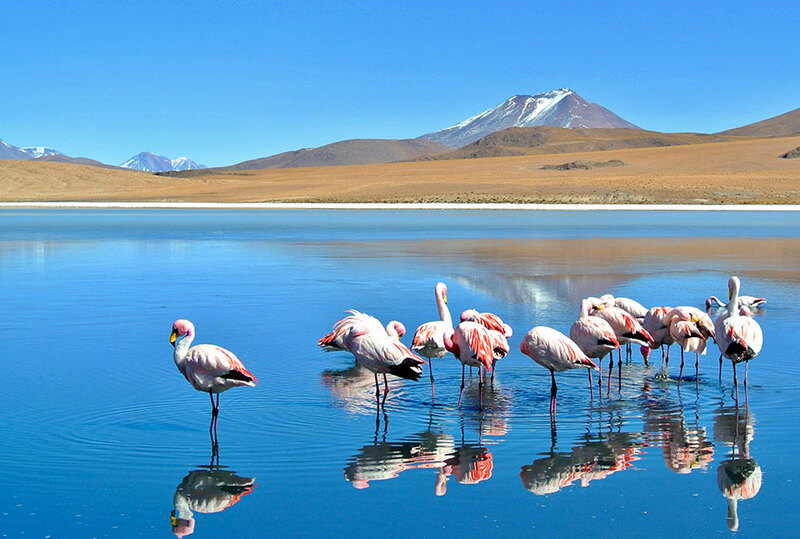 Five years ago, she trekked across Bolivia to capture fanciful pink flamingos, mirrored in a lake – another image snapped up by Lonely Planet. “It was taken at Laguna Colorada, also known as red lake,” Dr Mellish recalled. “The area is surrounding by the vast desolate Bolivian salt flats, so it takes days to travel there and I stayed in hotels made of salt! Fittingly, the photo that marked Dr Mellish’s Lonely Planet debut was actually the fruit of an exotic dentistry elective project undertaken 10 years ago, as a final-year student at The University of Sheffield School of Clinical Dentistry, in Britain. 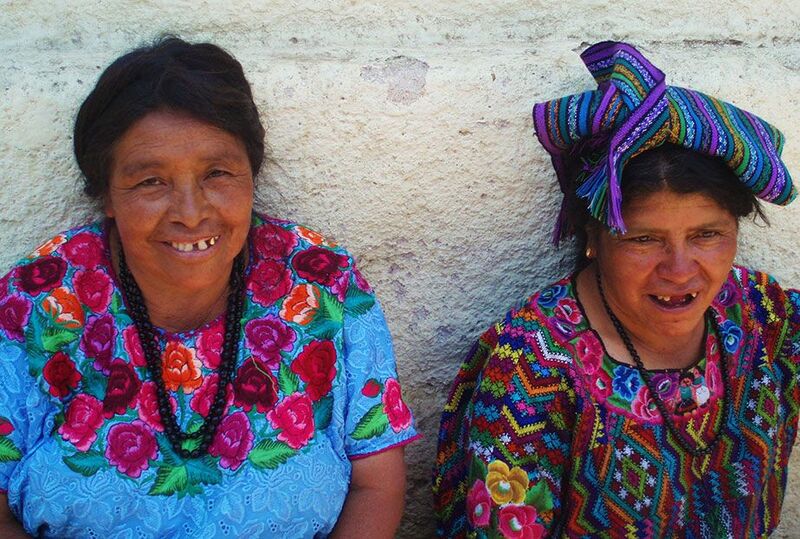 The image features two grinning Guatemalan women, one of whom sports a gleaming gold canine tooth. “My project was titled, Comparison of aesthetic dental care in the UK and that of a contrasting healthcare system,” Dr Mellish smiled. “I wanted to make the project more arty, by taking lots of photos, rather than just writing about it. “I travelled to Trinidad, Mexico, Belize and Guatemala to study the differing views on aesthetics. Her research approach worked a treat. She collected The University of Sheffield’s Kerr Dental Elective prize, as well as the Dental Protection photography prize. Admittedly, Dr Mellish did have a head start when it came to illustrating her project. After finishing school, she undertook a one-year art foundation course at the Winchester School of Art, where she focussed on photography and life drawing. But in the end, she opted for the human touch of dentistry. “I was into art and design technology. Then I realized that design technology might be a bit more computer oriented, and I didn’t really want that. I’d rather work with people – physically making things,” she explained. Dr Mellish now seeks to instill into dentistry students both the craftsmanship and compassion required to deliver high-calibre dental care. “You need very good manual dexterity to be able to be a good dentist,” she said. “The general public don’t often realise that, nor how physically demanding it is. Photography will remain a passionate hobby; Dr Mellish never travels without a couple of cameras, although the Christchurch photo was taken on her iPhone. “You don’t necessarily need a brilliant camera; it’s the composition that is important,” she said. She is already looking forward to her next overseas expedition – to Japan.